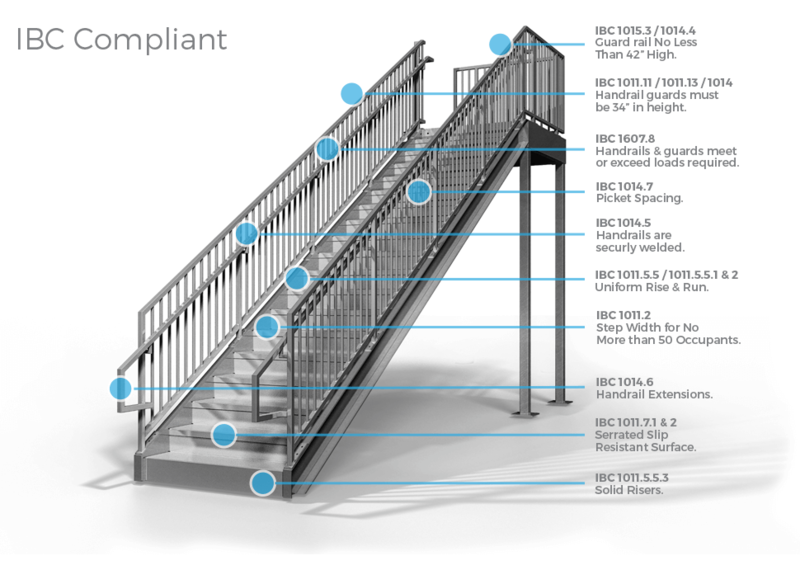 Stairs can be designed to comply with different regulations depending on their intended environment. Regulatory agencies are the ones who make the distinctions between stairs for the commercial environment versus those for the industrial. 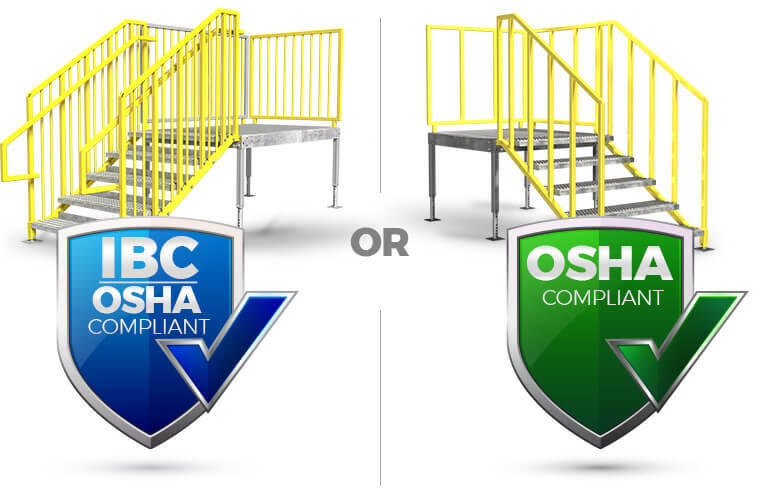 Learn the Differences Between IBC and OSHA Stairs? Stair handrails need to be on both sides of the stair and can’t project more than 4.5″ into the stair width on each side. On a very wide stair, you need to space intermediate handrails no more than 60″ apart. They are required to be mounted between 34″ and 38″ above the tread nosings and landings and mounted a minimum of 1.5″ off the wall. ErectaStep uses Round metal handrails and it’s required they need to 1.25″ to 2″ in diameter. While not applicable to ErectaStep’s commercial handrails, square handrails are required to have a perimeter between 4″ – 6.25″ with a maximum cross section of 2.25″.